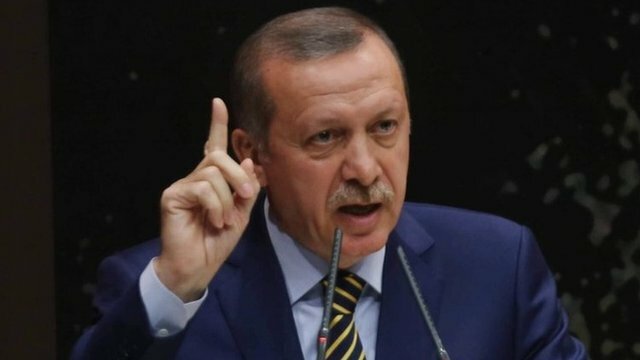 Erdogan dismisses corruption claims Jump to media player Turkey's Prime Minister Recep Tayyip Erdogan has said allegations of corruption in his government are a "dark plot" by destructive forces outside Turkey. 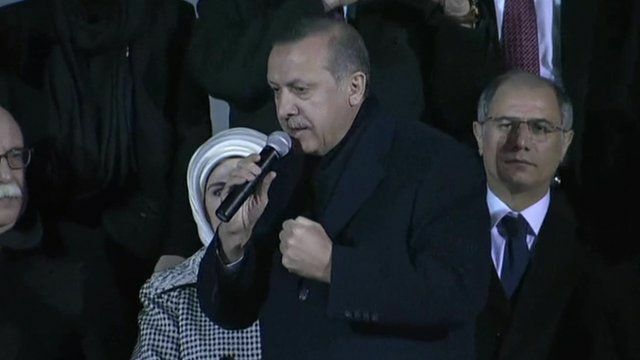 Turkey's PM Erdogan vows to fight on Jump to media player Turkish PM Recep Tayyip Erdogan says he will not step down amid corruption allegations that have forced the resignations of three ministers. 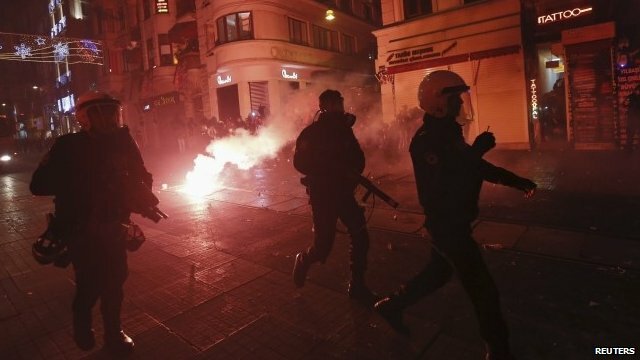 Protesters clash with police in Turkey Jump to media player Riot police in Turkey have fired water cannon and plastic bullets to break up an anti-government demonstration in Istanbul's Taksim Square. 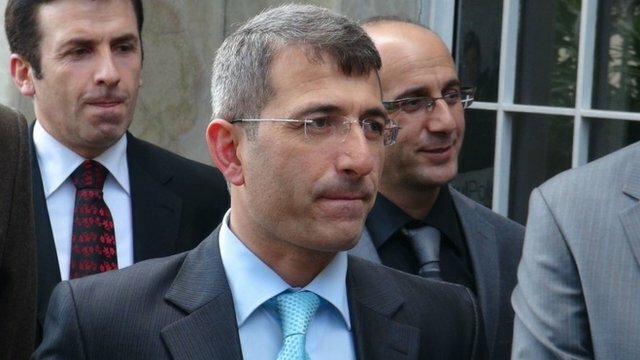 Another sacking in scandal-hit Turkey Jump to media player A public prosecutor in Turkey who spoke out about alleged police obstruction in a major corruption case has been dismissed. Turkish PM defiant after reshuffle Jump to media player Turkey's Prime Minister Recep Tayyip Erdogan has announced a major cabinet reshuffle after three ministers resigned over a corruption inquiry. 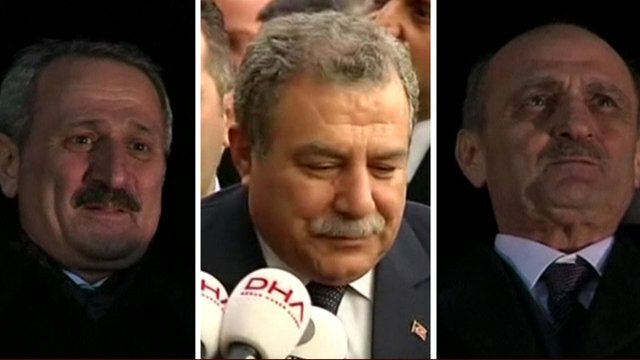 Turkey ministers resign amidst scandal Jump to media player Three Turkish government ministers have resigned after their sons were arrested as part of a high-level corruption inquiry. Turkish journalists on lack of freedom Jump to media player Turkey has more journalists in prison than any other country in the world, with those detained, facing charges including terrorism and denigrating Turkishness. Turkey's Prime Minister Recep Tayyip Erdogan has told supporters that allegations of corruption in his government are a "dark plot" by destructive forces outside Turkey. Three ministers resigned in December after their sons were arrested, along with dozens of others, over alleged wrongdoing in construction contracts and deals with Iran. 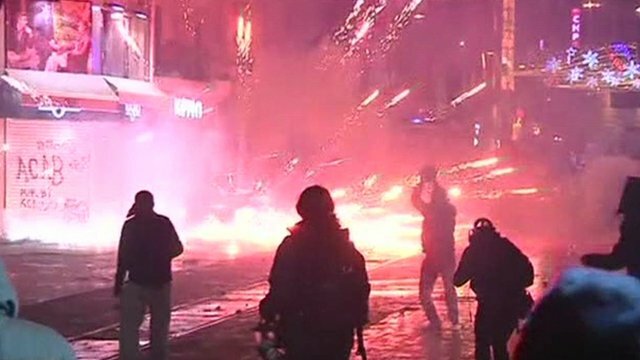 Analysts say the latest dispute is part of a power struggle between Mr Erdogan's government and an influential US-based Muslim cleric, Fethullah Gulen, who is said to have many followers within Turkey's police and judiciary.